Ryan Faer is currently employed by the Los Angeles Dodgers as a Full-Time Minor League Strength & Conditioning Coach, and is also in his first year as the Strength & Conditioning Coordinator and assistant coach for the Lake Howell High School Baseball program, located in the baseball hotbed of Central Florida. 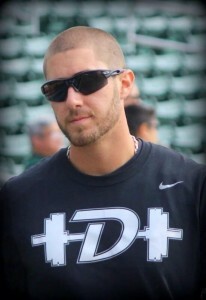 Prior to his Full-Time position with the Dodgers and his current position with Lake Howell, Ryan completed an internship with the Los Angeles Dodgers organization as a Strength & Conditioning Coach, where he spent time working with the AZL Dodgers, the Dodgers’ rehab athletes, and running the Ogden Raptors strength & conditioning efforts. From 2010-2014, Ryan was a part of the DeLand High School Baseball staff where he worked as the Strength & Conditioning Coordinator and an assistant baseball coach. In his 4 years at DeLand, the Bulldogs compiled a 67-40 record. In 2014 the DeLand program was the FHSAA 8A Region 1 Champion, making it all the way to the FHSAA State Final Four. 12 former Bulldog players went on to sign with collegiate baseball programs while Ryan was on staff, and 2 were MLB draft picks. Along with working in high school and professional baseball, Ryan served as a Division-I collegiate Strength & Conditioning Intern-Assistant at Stetson University, spending nearly one academic year helping to build a brand-new, first-year strength and conditioning program from the ground up. Ryan has an undergraduate degree in Applied Physiology & Kinesiology from the University of Florida, and holds multiple fitness certifications, including the Performance Enhancement Specialist certification from the National Academy of Sports Medicine and Certified Strength and Conditioning Specialist from the National Strength & Conditioning Association.